Progress made by European countries in meeting their 2025 cage-free egg commitments have been documented for the first time in an Egg Track report. The report, which follows a similar exercise in the United States last year, presents data from 83 group level companies, including retailers, food service providers, manufacturers and producers. CIWF says it is designed to help monitor how companies are progressing and for the charity to offer advice and support if they slip behind in their progress towards cage-free production. Companies being monitored in the European Egg Track report include Asda (Walmart), Compass Group, Co-op UK, Danone, JD Wetherspoon, Lidl and Unilever. At present, the UK’s Noble Foods is the only producer included in the Egg Track this year. 2 French producer firms are expected to be included soon and CIWF said it wanted other major producers to commit to ending the use of cages. Data for the report was compiled from publicly available information on company websites during the first 2 weeks of August and will be reviewed and updated annually. The average reported progress for future commitments (2018-2025) for shell eggs is 61% and for ingredients is 47%. 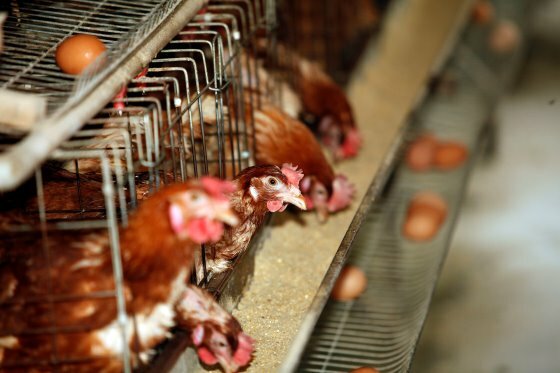 Philip Lymbery, CIWF chief executive, said: “The incredible wave of cage-free egg commitments that we have seen from leading food businesses around the world over the past couple of years has made this an amazing time to be part of the animal welfare movement. I congratulate every company that has been part of this landmark shift. “By building a roadmap for improvement now, companies have the time to research and implement the changes required to fulfil welfare commitments. It is essential that the design of alternative systems fully respects the welfare needs of the hen and are fit for the future,” he added.